(especially the Asteroid comment and the car seat one – I laughed out loud for both) Thanks Barbara! Or you had to wait around all day to tape it off the radio, and the DJ would usually talk over the beginning and @#*% it all up! There were no CD players! We had tape decks in our car… We’d play our favorite tape and “eject” it when finished, and then the tape would come undone rendering it useless. Cause, hey, that’s how we rolled, Baby! Dig? We didn’t have any fancy PlayStation or Xbox video games with high-resolution 3-D graphics! Wehad the Atari 2600! 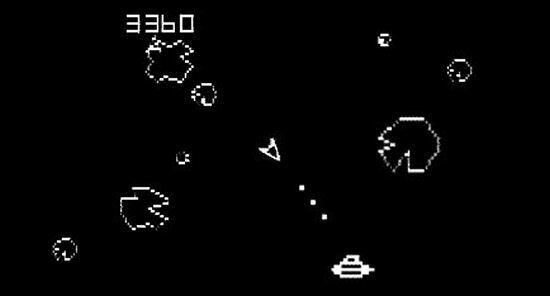 With games like ‘Space Invaders’ and ‘Asteroids’. Your screen guy was a little square! You actually had to use your imagination!!! And there were no multiple levels or screens, it was just one screen… Forever! And you could never win. The game just kept getting harder and harder and faster and faster until you died! Just like LIFE! oh my goodness! that was hilarious and so true. loved the atari…and life. and playing outside. i just told my nephew, who got a new xbox, that he should go outside and play. oh and the saturday morning cartoons…i couldn’t wake up to go to school but boy was i up at 6am sharp to be the first one to watch my choice of cartoons (i have 4 brothers and sisters). thanks for posting this! awesome. 2 thumbs up! I watch the kids today & I wanna smack em across the head. Many have no manners. Its true – fond memories for sure. But what a funny way to remember them. LOL! Priceless. It’ll be another 6 years before I turn 30, but I can sooo relate 😛 The tapeplayer! My parents didn’t get a car with a CD player until a year and a half ago. And the Atari! Those were obsolete in the 90s, that’s why my brother and I had one, those were cheap.